Egypt's Tamarod (Rebel) movement has announced it will begin holding election rallies after the week-long Islamic holiday of Eid Al-Adha, which begins on Tuesday. It has also dismissed rumours it will cooperate with Mubarak-regime figures in their election campaigns. "Tamarod seeks to establish a large electoral coalition which will reflect the hopes of Egyptians [who demonstrated on] 25 January 2011 and 30 June 2013," the group's co-founder Hassan Shahin told Al-Ahram Arabic news website on Sunday. The group announced last week it would contest upcoming parliamentary elections in all districts. The elections will take place as part of the political roadmap announced after president Mohamed Morsi's ouster in July following mass protests against his rule – which Tamarod played a key role in mobilising. Shahin added that the movement had formed sub-committees to coordinate election rallies in Cairo and elsewhere, adding that the group would hold rallies in Upper Egypt where support for Islamists is still higher than in most northern cities. Tamarod began in May as a campaign to "withdraw confidence" from Morsi by collecting 15 million signatures, exceeding the 13.2 million votes he amassed in the 2012 presidential election runoff. 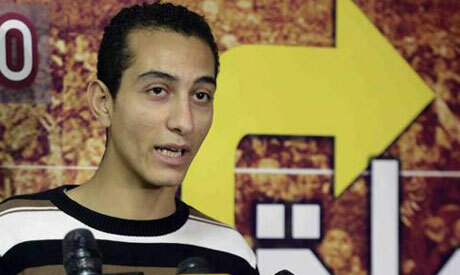 At the end of June, Tamarod announced it had collected 22 million signatures. Tamarod participated in designing the transitional roadmap, implemented by the interim government via a constitutional decree on 8 July, which includes a referendum on an amended constitution, as well parliamentary and presidential elections all to be held within one year. The anti-Morsi group has faced internal disputes and splits in recent weeks. The group's outreach coordinator resigned in late September charging that some Tamarod leaders have been meeting with pro Mubarak figures. The group is also at odds internally over who to support in the upcoming presidential elections with some members favouring Defence Minister Abdel-Fattah El-Sisi and others leaning towards Nasserist leader Hamdeen Sabbahi. Tamarod doesn't enjoy any ideology or vision of solution. What they can do is what they have done being used to overthrow Mursi. Now, it is time for Tamarod to withdraw to be abolished before it is divided into small rival groups of nasserist, leftist, militarist, anarchist and etc.. They had blood on their hands. Tamor&$@)s. Nothing nice betrayal. Why do they need elections? If they lose the elections they will just gather signatures, so why not gather signatures like they did before. Why use elections to vote people in and then use signatures to take them down? Anyway, how can there be free and fair elections when they have thousands of political prisioners? All these people are mad, sick and crazy..
What platform are they proposing? All talk about tactics, but there is no mention of their positions on any issues. Their slogan will be, "Vote for us because we plan good rallies"? I hope this time the political parties will meet the demands of the Egyptian people and say what they want to do if elected.